Author Aviv Harkov relies on some rookie sous chef assistance. Eleven years after making aliya with her family, Aviv Harkov is coming back to Long Branch and Congregation Brothers of Israel, on Thursday, May 26. Now 23, a veteran of the Israeli Navy, and the author of the newly published A Taste of Torah (Gefen Publishing, 2016), Harkov will be the featured speaker at a Lag B’Omer program and cooking demonstration. Harkov, her parents, and older sister Lahav made aliya to Modi’in in 2005, when Aviv was in seventh grade. A BA candidate — in both business administration and Asian studies — at The Hebrew University, she is also a former emissary for World Bnei Akiva in Hong Kong. 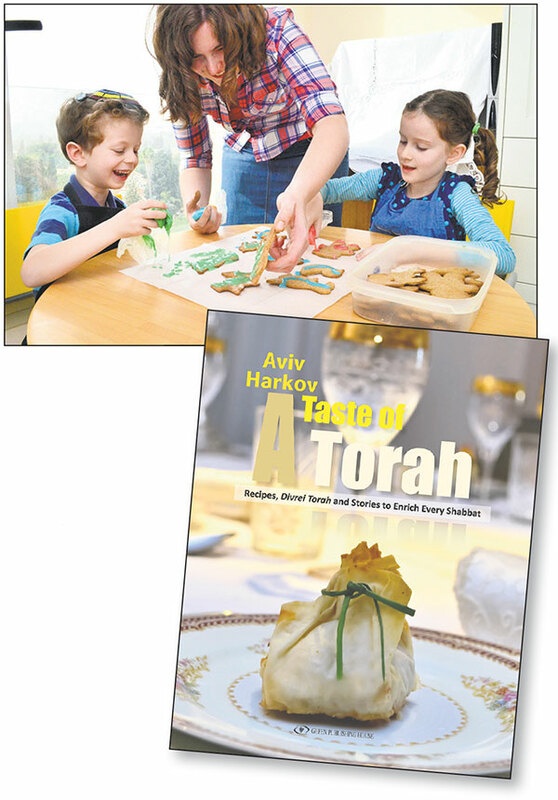 “Each parsha includes a gourmet recipe that fits perfectly on an elegant Shabbat table,” said Harkov. She has also included tips for preparing each dish with children in the family working as sous chefs. 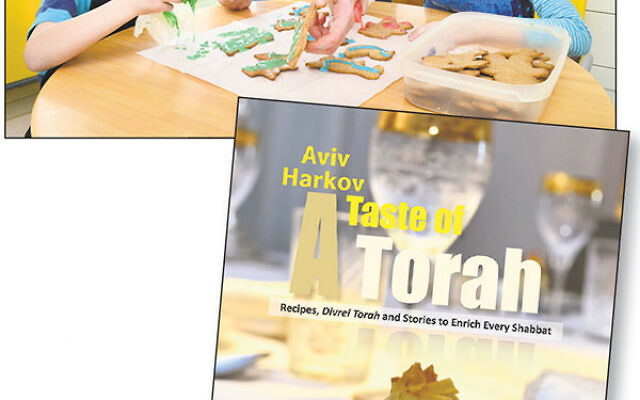 Each recipe is followed by a d’var Torah for the older children and a bedtime story for the younger ones, based upon a Jewish value highlighted in that week’s Torah lesson, she said via e-mail. During her presentation, Harkov said, she plans to teach congregants and guests how to make no-bake s’mores pies in celebration of Lag B’Omer. There will also be a pizza dinner. Lag B’Omer is the 33rd day of the Counting of the Omer, the period between Pesach and Shavuot, considered a time of mourning. The day offers a break, marking the end of a second-century plague that killed many students of Rabbi Akiva, and a hillula (celebration) of Rabbi Shimon bar Yochai, a sage and leading disciple of Rabbi Akiva, and the author of the mystical text the Zohar. Harkov is not the only family member to have made a return visit to Brothers of Israel; her sister, Lahav, the Knesset reporter for The Jerusalem Post who has interviewed major figures across the Israeli political spectrum, was a guest speaker at Shabbat services in December 2014.